In 2014 Tara Judelle co-created the School of Embodied Flow™ to bring her current passions together into a modern movement of Yoga. For over 27 years Tara has experimented with all forms of movement flow, from dance to Tai Chi, to movement improvisation and ultimately yoga. An English degree from Barnard College, post-graduate studies in theatre directing and a foray into film writing and directing brought her finally to the study of yoga and meditation. 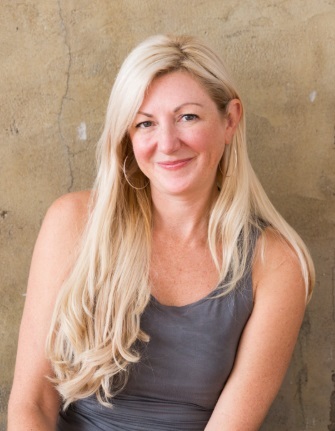 Certified in the Anusara™ method, Tara has taught yoga extensively, both nationally and internationally, for 15 years. She has been inspired by the Body Mind Centering® works of Bonnie Bainbridge Cohen and has studied and taught with Carlos Pomeda and Sally Kempton. For the last 7 years she has been a featured teacher as part of the yogaglo.com team, allowing the yoga conversation to stream around the globe. Harness, cultivate, and encourage potent group mind space. Put healing, creative, philosophical, and physical technologies together in unique way with unique and light hearted language. I know that nothing comes from me. The abundance of knowledge and resources that is the ocean of being is infinite, I have only learned how to pull from that space and sharpen the skills to be able to communicate that. To live increasingly in a flow state and to make my life action from meditation. To find an increasing number of ways to give back through service and to create business models that give back to the earth, to those in need. To publish books and visual/verbal content that inspires. To create spaces that can facilitate evolution in thought and experience. Forging a life that I love by listening to my inner prompting. Choosing to leave my life and base in Los Angeles to move to Bali- which changed my life from a US based life to a life based in the world at large. Everything in the world is conspiring for your awakening. Creating a global network, African Dance, the Mediterranean Sea, whales, discovering how we can harness cognitive collateral and make it something great.